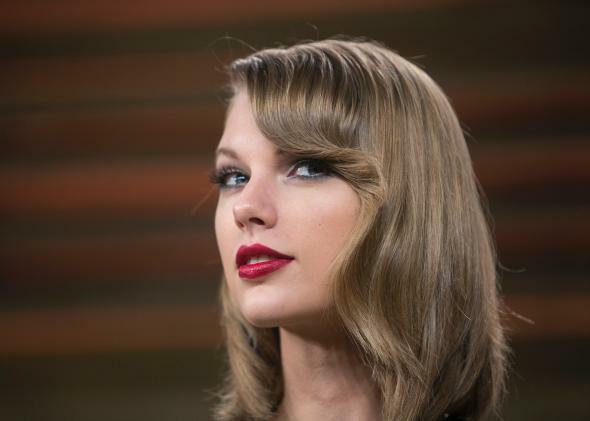 Taylor Swift pulls music from Spotify: She can do whatever she wants. I remember when they broke up the first time. It was October 2012 and Taylor Swift had just released her fourth studio album, Red. In its first week, Red sold more copies than any album since 2002, but on Spotify it was nowhere to be found. Swift had decided to withhold her newest work from the streaming site; it remained unavailable there for several months until Swift relented. So when Swift’s newest release, 1989, didn’t immediately hit Spotify’s digital shelves, no one was too surprised. As Businessweek noted on Friday, Red sold 1.2 million copies in its first week alone. “Why alter a winning formula?” Well, Swift and Spotify called it off again last night. And this time, it’s looking a lot more permanent. As of Monday morning, Swift has removed all of her music from Spotify’s catalog. The sole track left from a search of her artist page on Spotify is “Safe & Sound,” from the Hunger Games soundtrack. The news is undoubtedly a big hit to Spotify. In a statement on its website, Spotify noted that 16 million of its roughly 40 million users have played Swift tracks in the past 30 days alone and that she appears on more than 19 million playlists. Spotify says it pays out 70 percent of its revenue to artists and other owners of music; it estimates those payments at between $0.006 and $0.0084 per stream, on average. “We hope she’ll change her mind and join us in building a new music economy that works for everyone,” the company wrote. It’s unclear if asking for your worth will ever work for artists without Swift’s fame and negotiating clout. But it’s all well and good for Swift, a huge name who can do whatever she likes. At last count, 1989 is on track to sell more than 1.3 million copies in its first week and maybe even eclipse the one-week sales record of 1.319 million copies set by Britney Spears’ Oops! … I Did It Again in 2000. Swift’s music is still available on other streaming services, including Beats Music and Rdio. But at any rate, all those Swift fans who haven’t yet shelled out money for her albums (old or new) might have to bite the bullet. It looks like Swift and Spotify aren’t getting back together any time soon.